The ME20F-SH is ideal for use within specialist applications such as TV productions of nighttime wildlife, deep sea/cave exploration, astronomy, and surveillance. The ability to install the camera in a semi-permanent location, with remote control operability also means that this camera is a useful tool for documentary and natural history filmmakers. Shooting in low-light conditions often requires the use of infrared illumination, a technique that traditionally is captured in black and white. The ME20F-SH, however, achieves impressive high-sensitivity performance enabling the capture of colour Full HD video with reduced noise, even in low-light conditions and without the need for infrared illumination. A unique, 35mm full-frame, video camera with extreme low light performance in colour, over ISO 4 million and IR support. Shoot Full HD 1080p/1080i/720p to an external recorder and benefit from Canon Log and Wide DR.
Automatic control with AE, AWB, AF and Custom Picture settings, plus ISO 800 to 4 million for shooting day/night time. Experience a wealth of lens options via an EF mount with Cinema Lock and a 12-pin terminal for Canon Servo lens support (with compatible lenses). 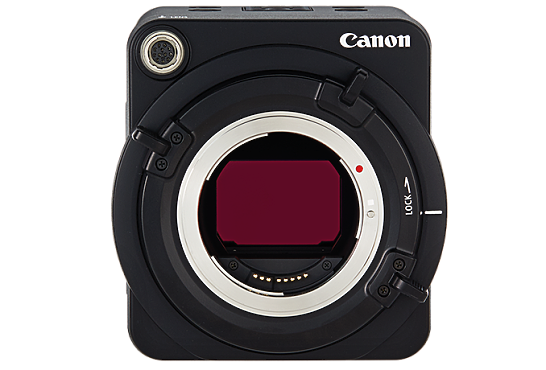 Works with the Canon Remote Control RC-V100 to control the built-in IR and ND filters. 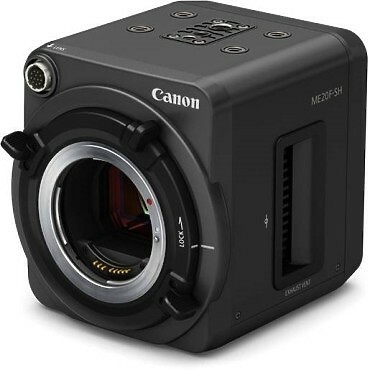 Hire the Canon ME20 from Procam. Best service and rental rates for the Canon ME20 and all cameras, lenses, sound, lighting and grip.